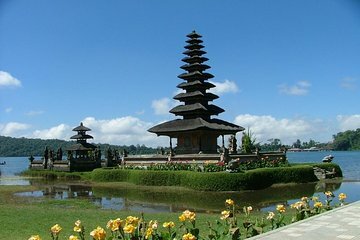 Take a tour of Bali’s beautiful Hindu temple set in picturesque surroundings on a private tour. Visit the Taman Ayun Temple with its beautiful gardens, the Ulundanu Temple and Beratan Lake, the Alas Kedaton Temple home to a number of wild monkeys, and end with a sunset view at Tanah Lot Temple. This is a great opportunity to learn about Balinese culture and go beyond the typical tourist spots.